01 December 2018 - The Municipality of Budva, in cooperation with the Tourist Organization Budva, has provided an outdoor gym and exercise space for citizens of Budva, located near the swimming pool on the Slovenian beach. 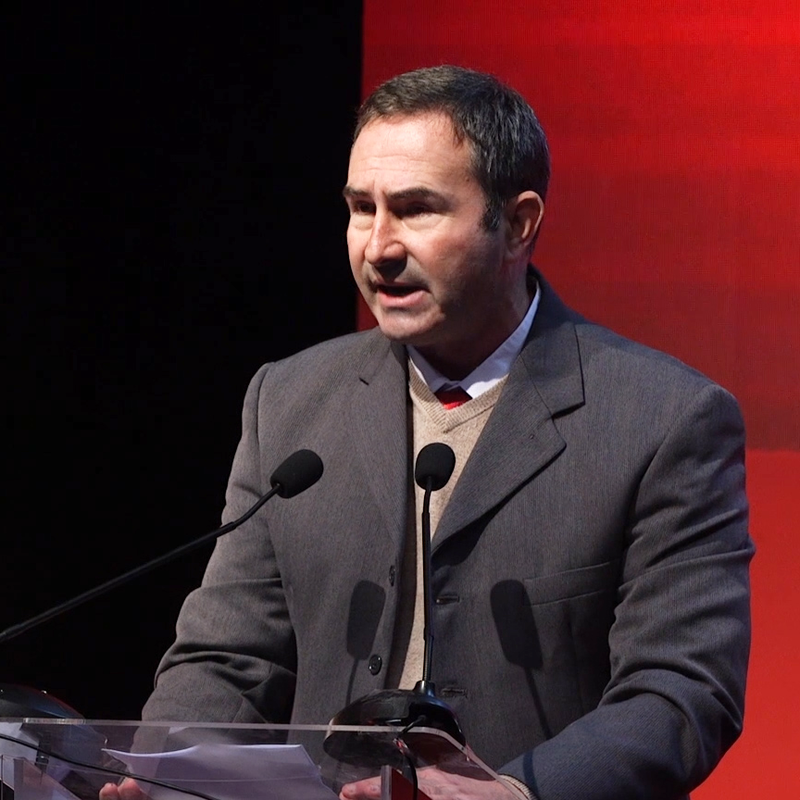 Assistant Secretary of the Secretariat for Municipal Housing Affairs, Aleksandar Popović, said that the entire training center will be completed by the end of the day. Popović said that they took care that the devices that were installed for the outdoor gym were of the highest possible quality. "The appliances are made in America and Denmark, and every part of the device is made of aluminum and a special kind of stainless steel, which is resistant to seawater and does not require special maintenance," said Popović. He pointed out that special devices for people with disabilities were also provided so that wheelchairs can access and perform certain exercises. In addition to this gym, the Municipality will make three more outdoor gyms at the following locations: near the "red building", in the village of Beli Do, and on the central part of Bečići beach. These three venues will be completed within two weeks. The building of this outdoor gym was discussed during the summer, while the ground works were finished in the August. The total value of the project is estimated at 30.000 EUR. Read more information about outdoor gym in Budva here. November 28, 2018 - YC Delfin Tivat announced some great news recently- apart from the fact they’ve gained another chance to organize the Balkan Sailing Championship next year in September, a few days ago Delfin was confirmed to be the host of the European Sailing Championships for Laser Standard and Laser Radial up to age of 21 in summer of 2021! In the Maritime Heritage Collection Porto Montenegro, a retrospective exhibition of the YC Delfin speaks the great story of decades of enthusiasm leading a small group of sailing lovers from beginners to winners. The inauguration ceremony was preceded by awarding the most successful contestants to the Tivat Day regatta, which sailed last weekend. To see the results, jump to the Montenegrin Sailing Association website. The exhibition named “Navigare Necesse Est” is a retrospective of photographs, documents, cups, medals, as well as the designs and portions of the famous sailing ships constructed within the Shipping Society Delfin Tivat, later the YC Delfin, which writes its history since it was established in 1951. The exhibition's head, coordinator of the Maritime Heritage Collection, Dražen Jovanovic, said that Delfin, being one of the most prolific Tivat clubs, has also been the bearer of the tradition and culture of this city's life for decades. Jovanovic recalled the great sailing ships Suton and Crnogorka, their creators and pioneers of Tivat sailing, but also the fact that Delfin's history is young when you look at the successes and perspectives of today's sailors of the club. On behalf of the club, the audience was welcomed by the president, Frano Tripović, who among other things said: "The YC Delfin is not just a sports club but an informal educational club, and in this sense, apart from sports, has a very distinctive ecological and cultural component. We will work in the administration to expand and improve all of our capabilities. We came to organize the Balkan Championships next year in the fall, as well as the European Championship Race for the Laser Standard class up to 21 years, which will sail in 2021 in Tivat. The same facts say that sailing in Boka is very much alive and that besides the fact that we around the world, the world comes to us. Sailing in Boka Bay is a great, strong and positive story. As this exhibition’s name says- sailing is a necessity, so I invite everyone to come, to sail and to socialize with us," said Tripovic. The exhibition officially opened by the President of the Tivat Municipality, Siniša Kusovac: "The club's history lies in the presented documents, proving the great club’s history for decades. The value of every sports club and every organization is reflected in the number of youth, the number of children. The YC Delfin attracts more and more children of this town every year. I particularly welcome them and congratulate them for choosing sailing because it is a sport that develops emotional and cognitive abilities of young people. It's one of the most demanding sports." Kusovac emphasized that the Tivat Municipality supports not only YC Delfin but also all the sports collectives of the city. He promised full support of local self-government in the organization of theBalkans Championship, as well as the European Championship regattas. "This is something that needs us to support and invest in it, that is something that is a true value," said Kusovac and declared the exhibition officially open. Delfin has somehow symbolically returned to its place of birth, because in the Arsenal sawmills, today the Maritime Heritage Collections, the coral reefs and other parts for the first Delfin’s sailing ships were made, in the introductory speech marked the coordinator of the Maritime Heritage Collection Dražen Jovanović. He pointed out that this is the first, but indeed not the last, event organized by the Collection with YC Delfin. Porto Montenegro's PR Kristina Skanata has added that this “shore cooperation” comes as a logical continuation of years-long successful cooperation of local sailing club and this company at sea. "At the General Assembly of the European Association for the Olympic Class Laser (EurILCA), which was held in Warsaw last weekend, Delfin was awarded the European Championships. In the competition of Italy and Greece, Montenegro and Tivat received 13 of 24 votes, and the race for the best sailors of the Old Continent up to 21 years old, in Olympic classes will be organized in Tivat in 2021. There is no dilemma that the European championship organization will be of immense importance for the promotion of sailing in Montenegro, as well as for the promotion of Montenegro as a tourist destination. Tivat and Montenegro will be the organizers of the 52nd Balkan Sailing Championships next year, which will be a truly spectacular bait and a great overture for the European championship that will follow," Aleksandra said. November 16, 2018 - Aleksandar Dzikic, the Buducnost coach, did not celebrate the ABA League title, so he calmly awaited the first Euro league celebration. Buducnost Voli defeated Baskonia 99:84 in the seventh round of this prestigious competition. "Baskonia is a big team that made us hit our borders. We won, that's the most important thing," Dzikic said. Buducnost broke the Euro league record by the number of three shots - 21 shots from the line 6.75 were scored. “We were scattered all around. We hit some goals in last second, and I am a better coach when we hit these shots," said Džikić. Edwin Jackson was the most effective. "Edwin is a player who is a beast when he is confident. What I liked most was that the teammates saw he was ready to receive balls, and that's progress," said Dzikic. "Every player needs self-confidence, and we had some tough moments and matches, this was our best game so far. When we do not lose the ball, when we have only a few mistakes, we can do good things," said Dzikic. The energy was high during the entire match. "I think the team deserved the applause for fighting and for their energy. The fact that some disagree with that, that's fine, everyone has the right to their own opinion," Dzikic said. Buducnost had many problems in preparing for the match, as Omić and Danilo Nikolic entered the game without training. The pressure, after six defeats, was great. "We create the greatest pressure for ourselves because we are not here 'just for fun'. If we were here 'just for fun', nothing would hurt us," he said. 12 November 2018 - On the occasion of the Jubilee 70 years since the founding of the Athletic Federation of Montenegro and 135 years of athletics in Montenegro, the Municipality of Pljevlja has won a Golden Plaque for the development of athletic sport in both Pljevlja and Montenegro. The Golden Plaque, as the highest recognition of the Athletic Federation of Montenegro, is awarded to individuals or organizations for many years of work and special results in the improvement of athletic sport as well as an exceptional contribution to increasing the reputation of Montenegro and Montenegrin athletics in the country and abroad. The award ceremony will be held on November 17, 2018 (Saturday) at 12:00 PM in the Millennium hall at the Ramada Hotel in Podgorica. The ceremony will be attended by President of the European Athletic Federation Svein Arne Hansen, Vice President of the European Athletic Federation and President of the Balkan Athletic Federation Dobromir Karamarinov, Presidents of Athletic Federations of countries from the region: Serbia, Croatia, Bosnia and Herzegovina, Macedonia, Albania and Kosovo, Minister of Sport of Montenegro Nikola Janović, President of the Montenegrin Olympic Committee, Dušan Simonović, as well as numerous prominent athletic officials. In addition to the municipality of Pljevlja, the Golden Plaque will be given to the Athletic Club "Rudar" and its coaches Budimir Jestrović and Slaviša Vraneš. November 1, 2018 - Montenegrin national team players Stefan Savic and Adam Marusic could change their clubs in January. Two clubs from Italy and one from England are interested in Savic. Although they are doing great in the Serie A (six points more than Napoli) and the Champions League (three victories), Juventus is considering bringing in new reinforcements, and among the potential candidates to come to Turin is the defender of Atletico Madrid, announced calciomercato.com. The Montenegrin defender has recently returned to the pitch after a break due to an injury he suffered on September 10th in a national team game for the Nations League and he is currently not the first choice of Diego Simeon. However, not only Juventus has this idea. Milan is interested in Savic, who needs reinforcements in order to become a serious competitor in the battle for the place that leads to the Champions League. If Juve or Milan send a satisfactory offer to Atletico and Savic, it would be the return of the 28-year-old player to Serie A, where he played for Fiorentina from 2012 to 2015. He came to Florence from Manchester City, who BeIN Sports is also in ocontact with the defender from our national team. The former FC Borca and Partizan player was a member in the 2011-12 season, having played 12 games in the Premier League. Apparently, Pep Guardiola believes that our ace will significantly boost competition in the central part of the defense, but the more realistic possibility is that Savic will return to Italy if a transfer from Atletico takes place. Adam Marusic (26), a player who covers the right side of the field in Lazio, could go to England, however. He arrived in Rome in the summer of 2017 from Belgium's Ostend, and played brilliantly in last season, in which Simone Inzaghi's team in the final round remained without a place in the Champions League. Though his team is not so strong this year and lost all the duels against stronger rivals in Serie A, Marusic remained interesting to the giants. Liverpool and Tottenham are battling it for him, though their plans could be spoiled by Borussia Dortmund. October 28, 2018 - The basketball players of Buducnost will host Cedevita in the extremely important encounter of the ABA league 5th round. October 26, 2018 - Two and a half months remain until the decisive matches of the Montenegrin volleyball players in qualifying for the European Championship. With three wins in the first four games in Group C, Veljko Bašić's team is at the forefront of their first placement in a major competition.